Working alongside architects Morgan Carn Partnership to successfully obtain planning permission for a new contemporary dwelling and vineyard on a 12 hectare farm in the South Downs National Park. 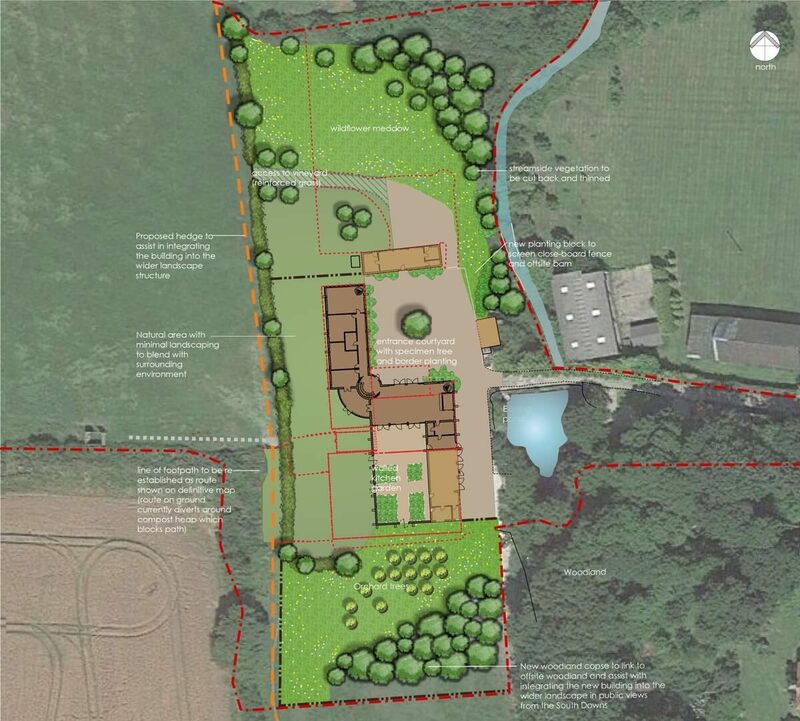 We provided initial landscape and visual recommendations to the client to help inform the scheme development and assist pre-application discussions with the Local Planning Authority and the parish council. This work formed the basis of a landscape and visual appraisal and Landscape Masterplan submitted as part of the planning application. The scheme sought to protect and enhance both the local landscape character and valuable views to and from the South Downs escarpment, through careful, sensitive redevelopment and the implementation of appropriate landscape and visual mitigation and management. In addition to the new vineyard, landscape measures included a walled courtyard garden, new planting to reinforce and replicate historic hedgerow pattern and define the residential curtilage, planting of new copses, meadow and orchard areas and management of an overgrown pond.